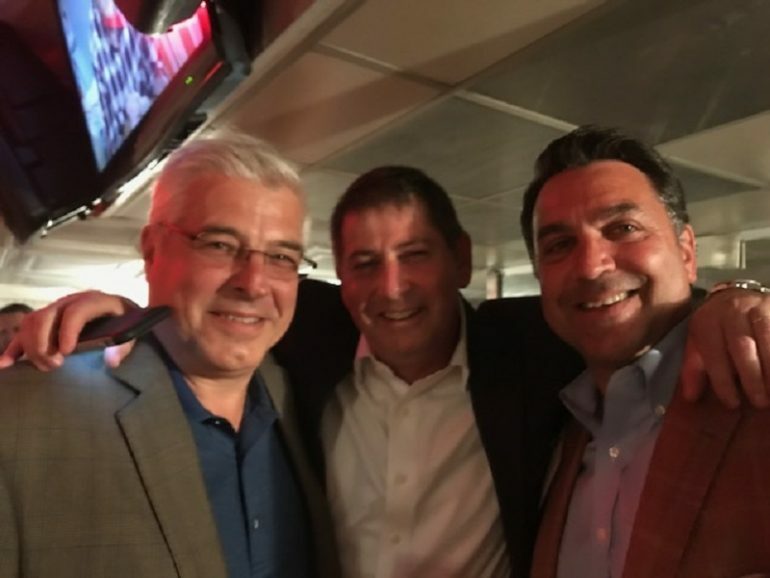 The Industrial and Office Real Estate Brokers Association of the New York Metropolitan Area recently hosted its Fall Kick-Off event, drawing more than 60 members and guests for a boat cruise through the New York harbor. Speakers of the night included Peter Bronsnick, senior vice president of SJP Properties, and Anne Strauss-Wieder, director of freight planning for the North Jersey Transportation Planning Authority. They discussed the Gold Coast residential and office real estate markets and the Bayonne Bridge-raising project, among other topics related to the marketplace. Along with the presentations, attendees were treated to an open bar and buffet dinner.